Turkey’s main opposition Republican People's Party (CHP) referred a senior deputy to the disciplinary committee for saying that call to prayer would be recited in Turkish, Habertürk news site reported on Thursday. "The Islamic call to prayer should be recited in Turkish, and the Quran should be read in Turkish so that I can understand what is said. 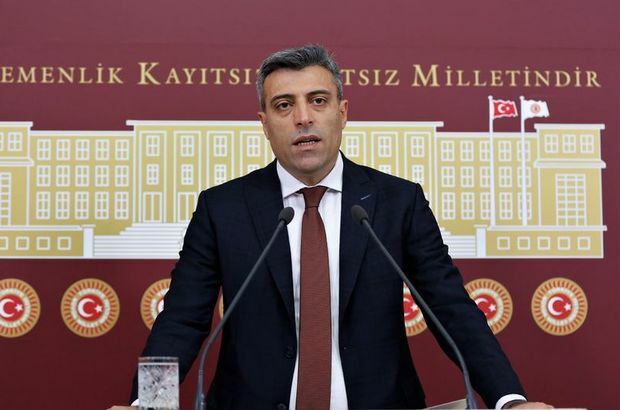 My language should be spoken everywhere," said CHP deputy Öztürk Yılmaz this week durian a television programme. Yılmaz's comments evoked criticism from other opposition parties. The right-wing Good Party leader Meral Akşener said the CHP was trying to take advantage for the upcoming elections by abusing the country's sacred values. Durup dururken Türkçe ezan diye mesele varmış gibi yaygara yapıyorlar. Milletin böyle bir gündemi mi var? Seçimde başına gelecekleri bildiği için, yine mukaddesat istismarına kalkışıyor. Gündem peşinde koşmayı bırakın. Milletin dertleriyle ilgilenin! The vice president of Turkey's ruling Justice and Development Party, Numan Kurtulmuş, said the discussions of the Turkish call to prayer had remained in public memory as a disgrace to the CHP. In 1932, when Turkey was under the single-party rule of the CHP, Turkish government mandated Islamic call to prayers to be recited in Turkish, a move that create unrest in some segments of the population which saw Arabic as a sacred language. Reciting the Islamic call to prayer in Turkish came to an end when the CHP lost its position of power to the Democratic Party in 1950. A return to Turkish calls to prayer, however, has ever since been one of the issues advocated by secularists in the country.